I can take your car out and drive it like an old nanny and confirm actually your car is very slow. Different tests have different results. Edit: I could not find a reference to the 3.9s 0-100kph (~3.5s 0-60mph) time or to the 12.0@116 1/4-mile number. 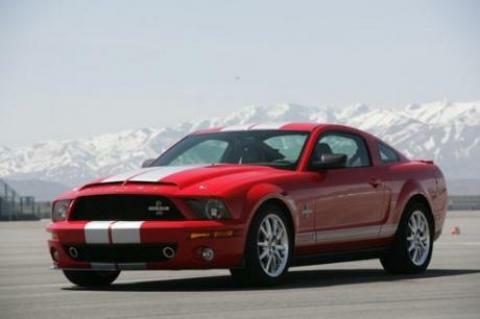 In fact a GT500KR-vs-Z06 video back in 2008 showed 12.8@114 for the Mustang. this car is awesome but does anybodyt think its worth the $80,000 price?? and any guesses onits ring time? Dude theres no way this badboy would match the GT-R's laptime if it had that suspension. Maybe if it had KW suspension and semi-slick tires and F1 style paddle shifters, then Maybe..MAYBE!! You know travelling at high speeds with the slightest of bumps not only slows you down but can also throw you off the track which is why all racing cars have an independant suspension and that bothers me because i like the mustang and i would bet this car would have matched the GTRs lap time if it did have a proper suspension which i do not understand why they have not made ONE MUSTANG with a proper suspension????? There is a lap time for the GT500KR, under the Laguna Seca track. On this site, it's incorrectly listed as a base GT500. one of the reason could be because its very rare. i think somewhere aroun 1736 mybe? Why is there no track times for any mustang? Because they do not make a track that goes in a straight line!! I cannot believe there is someone ignorant enough to believe all cars have to made to go through a road course. who cares, look at the zo6 and its suspension, its whooopin cars 3 times its price, in a straight line AND around a track, so STFU, it doesnt matter as long as it gets the job done. I cannot beleive anybody is leaving a comment about a car whos suspension is only found in a museum. Even a plain old honda civic hadles better than this piece of crap! Is the bowl quite steeply banked? So was the 205mph at Nardo on the high speed bowl or a long straight? Was it a one way test or a two way test? But still either way thats fast. yes it was stoc it was straight out of the factory ive ben in a stock rgular gt500 that hit 192 the guy i was talking bout van hes a test driver for top speeds and (like a secret service kinda guy..lol) the kr hit 205 and i reckon th ss will hit 210 or so. i mean i cant really prove it but hey thats what i know. Well weight was not my problem but the aerodynamics. The Ford GT500 only achieved 176mph having 500hp and I dont think 33hp more can bump up the top speed by 24mph. Riice was your car stock? Riice which track did you try it on? mustang arent slow. and weight has nothing to do with top speed. Is there a reference for the 200 mph top speed? Just asking. I find it hard to believe a car this big can do 200 mph. why r mustangs limited? as far as i know there not german cars..lol so..why?